Movedo comes with the WPBakery Page Builder (Visual Composer), a visual layout builder that allows you to forget about the syntax of the shortcodes and create multiple layouts within minutes without writing a single line of code! You can edit, delete, increase and decrease size of each item. Furthermore, you can reorder the elements, copy-paste and save templates. It has very simple and instinctive interface! Don’t forget to read the Rows/Columns category articles on this documentation, where you will discover the amazing unique features and possibilities. Movedo uses indeed the latest versions of WPBakery Page Builder (Visual Composer) only after we test it before we include it in our theme. This mean that we handle the updates of this (and any) bundled plugin. 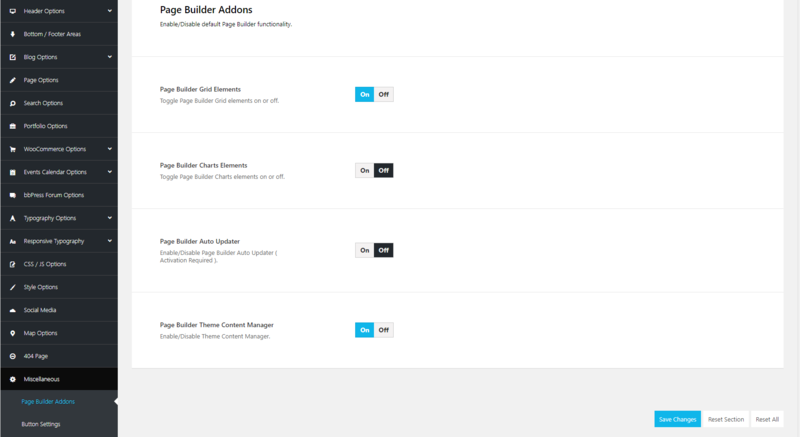 Additionally, we have extended the WPBakery Page Builder (Visual Composer), as we use our own grid system, to the next level by adding multiple options in Rows and Columns. Last but not least, Movedo ’s elements are especially handmade for the theme’s preferences and they harmoniously use the amazing visual interface of the VC. Shortly, you will not find just one WPBakery Page Builder (Visual Composer) copy in Movedo but an extended Page Builder! What if someone needs the Grid Elements or the VC Charts Elements of the VC? Go to Theme Options > Miscellaneous > Page Builder Addons and you will find the option VC Grid Elements. Just enable it in order to use the Grid Elements. Notice that, Movedo does not offer CSS support for these elements. That means you will get what VC offers. Last but not least, in this same section you are also able to activate the VC Charts Elements and/or the amazing Content Manager to import specific sections from our demos. Can I update the VC with my separate licence? Sure you can update the VC with your own separate licence. However, since we do not just provide a copy of it but an extended page builder with our own grid system and handcrafted elements, it is always recommended to update it in every new release of the Theme.